The breakup of Necco last year was a once-in-a-lifetime opportunity. Several prized candy brands would be up for sale. Candy makers across the country lined up to bid on brands like Necco Wafers, SweetHearts, Clark Bars, Candy Buttons and other brands rooted in candy history. Not Sky Bars though. Nobody wanted Sky Bars. They have a reputation of being a pain to make. Four different fillings. Plus, the equipment needed to make them had been sold off already, so you’d have to design and buy new equipment. Nobody wanted that headache. Nobody except Louise Mawhinney. She is not a large manufacturer of confections, never has been. She is, nevertheless, the new owner of Sky Bars. It was an unlikely chain of events, and a bit of whimsy, that led to Mawhinney taking ownership of Sky Bars. 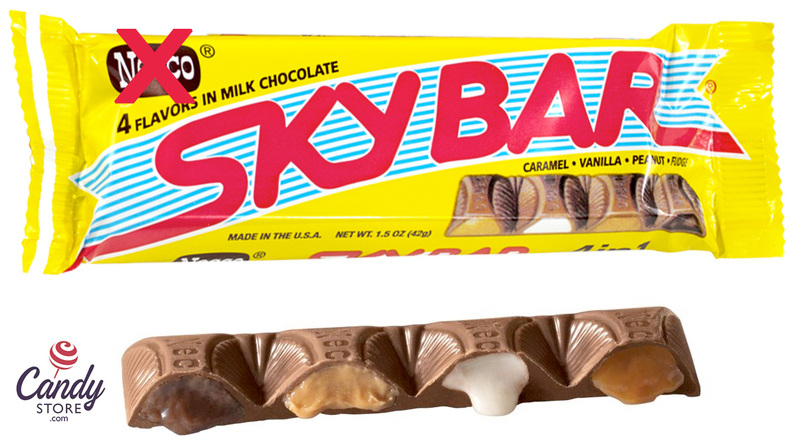 On the morning of September 27 last year, Louise got an email from a friend who knew she was a lover of Sky Bars and was following the Necco bankruptcy saga closely. The email had a link to an online auction for Necco’s remaining assets. “The whole thing was supposed to be held at the Necco factory, but the power went out last minute, so it moved online,” Mawhinney told CandyStore.com. She had just got back from walking her dog and clicked the link out of sheer curiosity. Then, she had to register with the website to be able to peruse the items left for sale. She went ahead and registered on a lark. Why not, she thought. She was having her morning coffee and didn’t need to be at work for a couple hours anyway. Louise found herself calling the phone number and asking to place a bid, adding that she hoped her bid wouldn’t offend anyone. No problem, the gentleman on the other end said. After they hung up, she immediately got an email saying “hopefully you will be the new owner in 3 minutes.” It was the last few minutes and hers was the only bid. Later she heard from someone who had been in the room when Louise’s call came in. “It went silent. Everyone was stunned that someone swooped in at the last minute,” he told her. After the bid went through, a few others tried to rush in and outbid her, but they hadn’t registered with the online auction site. They were thus unable to place a bid, and time ran out. 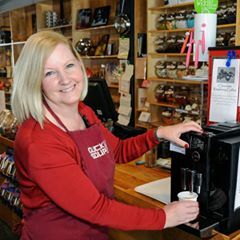 Thus on September 27, 2018, Louise Mawhinney, owner of what her son Frank describes as a “contemporary general store” in small town Sudbury, MA was now the proud owner of a large scale nostalgic candy bar. Now, she needs to make some Sky Bars. Louise has zero experience making candy bars on a large scale, but she’s not as green as you might think. Before purchasing Duck Soup in 2014, she was a biotech CFO. Since she has taken over, Duck Soup has begun to make its own brand of bread, acquired Kiff granola company, and partnered with a local chocolatier to manufacture and sell their products. Still, the jump to Sky Bars manufacturer is a big one. She realizes that she’ll need help to get production up and running. In that vein, she enlisted the help of Jeff Green. Green was vice president of R&D at Necco for 33 years. He understands the process of making Sky Bars better than anyone. 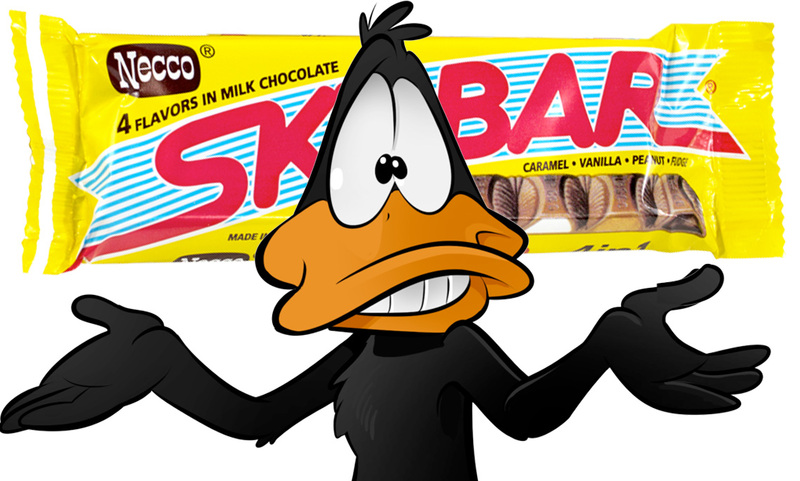 Now he has a confectionery consultancy and has been instrumental in the planning of Sky Bars’ future. Sky Bars candy bar mold from old equipment. The road is long, but Mawhinney is content to walk before she can run. She plans to start making Sky Bars in small batch, increasing the quality of ingredients while keeping its unique identity and affordability roughly the same. 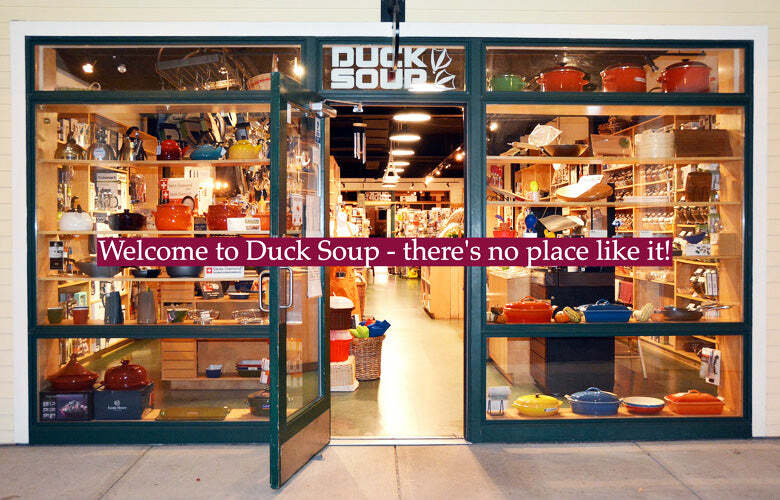 As for the production line, Duck Soup will begin expanding its capabilities soon into a location nearby. Louise has plans to create a craft confectionery experience where customers could watch actual Sky Bars being made from a comfy retail area. Mawhinney and her Sky Bars team hope to have the new Sky Bars coming off the line later this year, ready for holiday season. In the future, she hopes to make some of the older Sky Bars recipes for different throwback edition products. “The recipes from the 1960s had honey nougat in them,” Louise tells us excitedly. “It would be fun to bring those back from time to time.” Her son mentions a dark chocolate version as well. While she doesn’t hate the idea, Louise vetoed SMACCO for a more grown-up sounding Sky Bar Confectionery Company. No clever abbreviations, this is a serious business with serious ambition. This isn’t just Duck Soup anymore. We at CandyStore.com salute Louise and wish her the best of luck. UPDATE: As we originally reported, we have double confirmed that the auction date was September 27, 2018. Not in January of 2019. Some wrote in questioning the date of the auction as it has been reported elsewhere as January 2019. We have confirmed through multiple sources, including Louise herself that the auction was held on September 27, 2018.